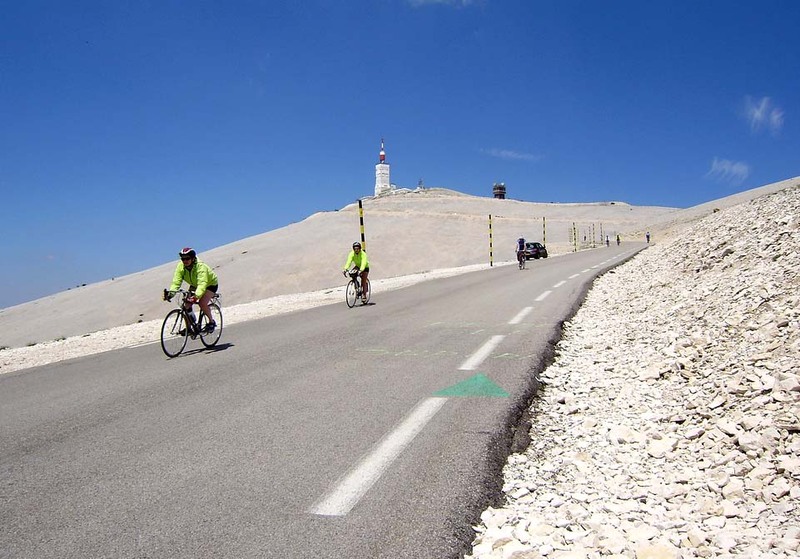 Probably the second most famous climb after Alpe d'Huez, Mont Ventoux is a magnet for the cyclist. 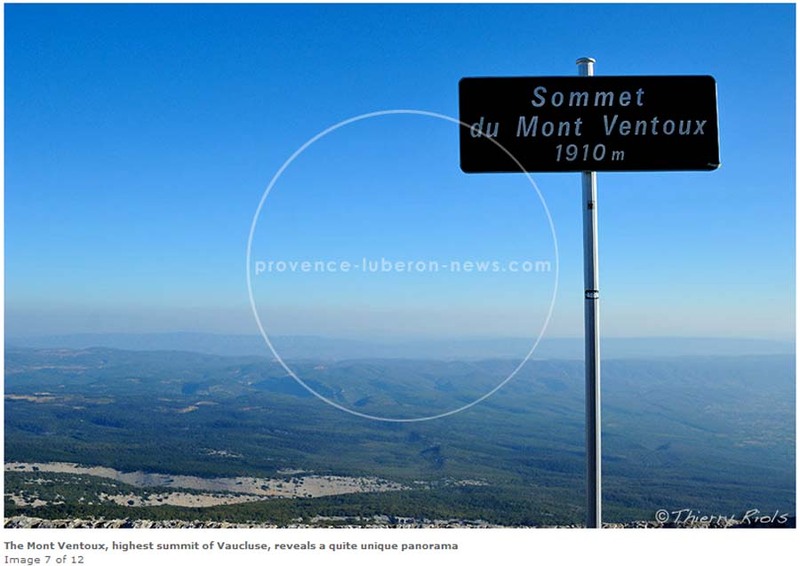 Situated in the province region of southern France, Mont Ventoux with its limestone white mountain top and weather tower dominates the skyline for miles. 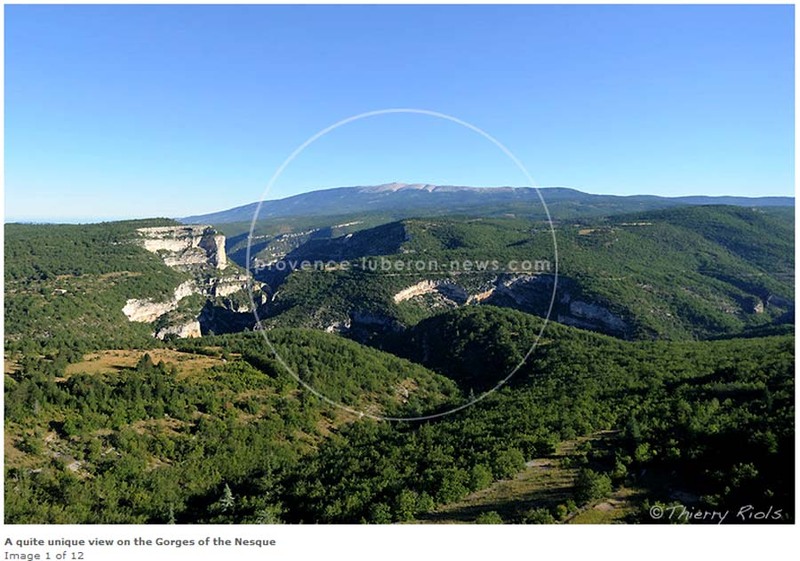 It is the largest mountain in the region and is often referred to as the 'Giant of Provence' or 'The Bald Mountain'. 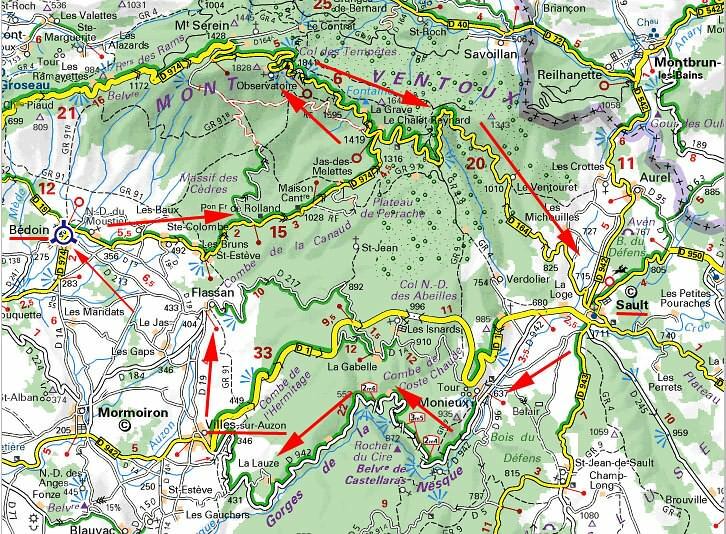 Ventoux was last climbed in the Tour de France in 2009 with Juan Manuel Gárate winning the stage. 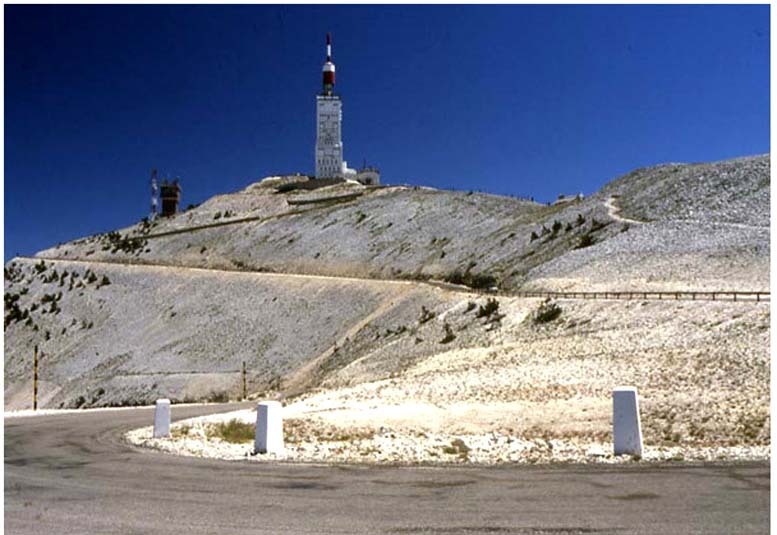 Mont Ventoux is probably most famous among British cycling fans as the place that their only world cycling champion Tom Simpson died in the 1967 while competing in the Tour de France. There is a small monument to Tom Simpson towards the top of the mountain which is usually covered with flowers and other cycling memorabilia. Both the Sault and Bedoin climb share the same last 7km from Chalet Reynard. Ventoux in French means windy so the mountain does have a reputation for being a little windy at the top ! 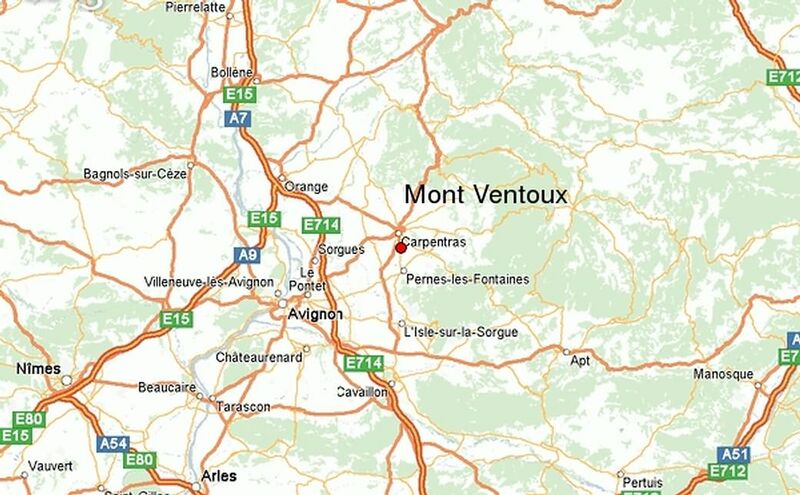 Situated as last Alpine mountain ridge before the Rhône plain, Le Mont Ventoux can be seen almost from everywhere in Provence. Its isolated position gives it a gigantic and dominating feature. 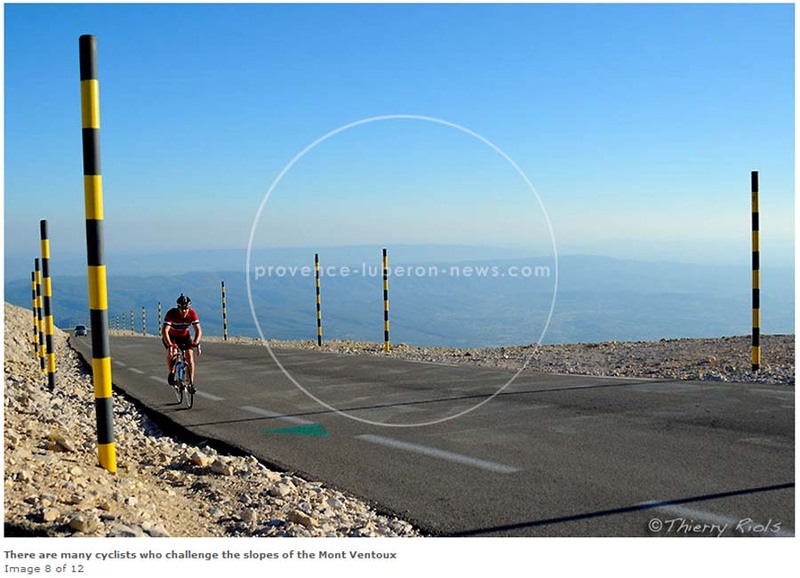 In all directions you'll have no higher peaks in the neighbourhood of the Mont Ventoux. 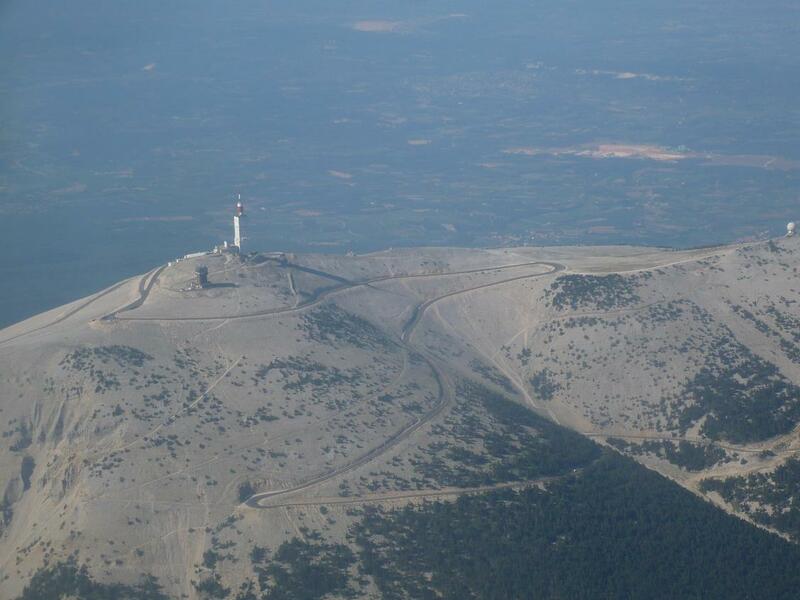 The name Mont Ventoux means "windy mountain", and some bikers will know why. One of the thoughest Montagnes to climb in France. 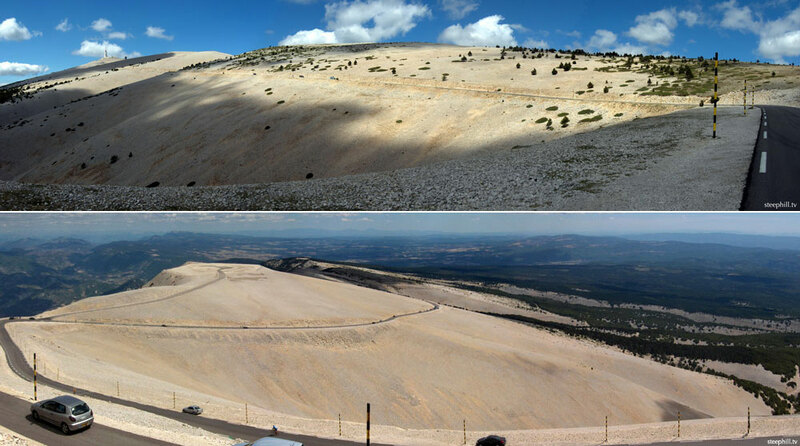 The Mont Ventoux is situated in Provence-Alpes-Cote d'Azur and belongs to the Massif des Cèdres.